Trying hard to work in some party girl material before I leave, Heineken is back with the Know The Signs campaign and a Buzz Toolkit. They have a series of clips out where you can roll over parts of scenes which takes you to... more other scenes. Interactive! They have a series of different characters to watch out for. (Except I don't see drunk dad anywhere.) 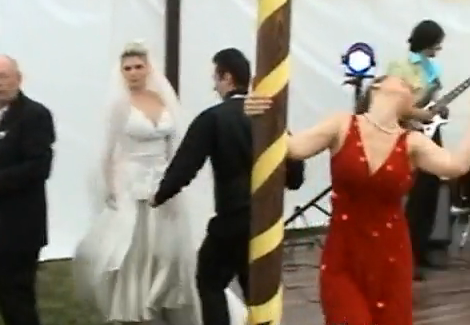 Ennyway, Drunk Pole Dancing looks like a lotta staged viral fun, after the jump. For my money, the Taxi spot is still the best spot I've seen for drinking responsibly.